We've been pushing Wey's nose into revision papers to get him ready for his upcoming PMR exams in October. I know we aren't the only ones getting jitters because the friends I've talked to whose kids are doing PMR this year are all sitting at home this long weekend (today being Malaysia's Independence Day) tearing their hair out teaching their kids Science and Math, the only two subjects taught in English. To chill out, Wey and I conducted some culinary experiments this afternoon. We wanted to find out if beer really made better batters. I've always doubted that beer would make any difference to batters, and that beer batters were created by beer lovers who had to have beer in everything. The first thing to test was whether plain flour or self-raising flour would be better for batters. I wanted a batter that gave a light coating with body, so I used 50-50 plain flour to SR flour ratio. The 50-50 SR flour to plain flour batter made a lighter and crispier ball of batter than the plain flour batter which was heavy and spongy, so whole plain flour was out. 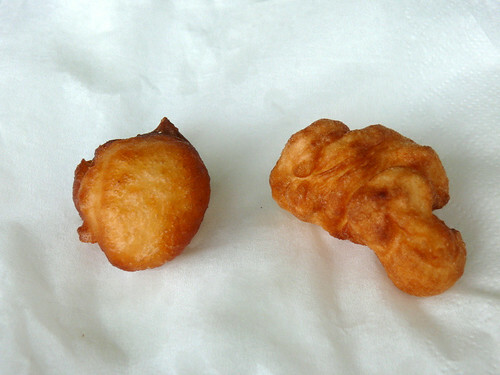 On the left, a ball of fried batter made from 50% self-raising flour and 50% plain flour. On the right, fried batter made from all-plain flour. The plain flour batter gave a spongy, chewy , thick-skin ball while the batter with the self-raising flour was crispy and thin. We then proceeded to test if batters with beer and without beer were any different. When the beer-battered prawn turned out puffed and crispier than the no-beer battered prawn, I was ecstatic, shouting, "Beer is best! Beer is best!" The fritter on the left was made without beer while the one on the right (and I made sure the prawns inside were the same size) was made with a beer batter. Notice that the beer batter coating not only puffed more, but was also smoother. Finally, we tested beer batter with a stiffly-whisked egg white and one without. The result was as expected: the beer batter with the egg white was very puffed and very light. In fact, the batter was so light that it was hard to turn the seafood when frying because the lighter, unfried side would always turn upwards, like a fat bloated man who can't sink. The beer batter without the egg white, although not as puffed, was very good too. After all the photos were taken, the fritters without egg white stayed crispy while those with egg white had gone soft-crisp. 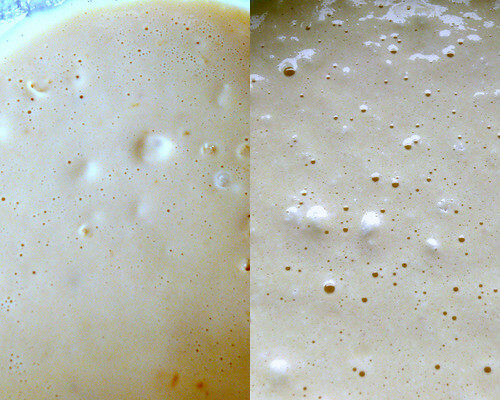 The no-egg white batter on left, the egg white batter on right. With the addition of a stiffly whisked egg white, the batter was lighter, in color and body, just like a sponge-cake batter. The conclusion: I'll stay with beer batter without stiff egg white, especially for big pieces of seafood like fish. Prawns and calamari rings can go with the more delicate beer and egg white batter but personally, I wouldn't bother to whisk an egg white. As I write this, I suddenly realized that my tests were not complete. To start off with, I had eliminated plain flour without adding beer to it. 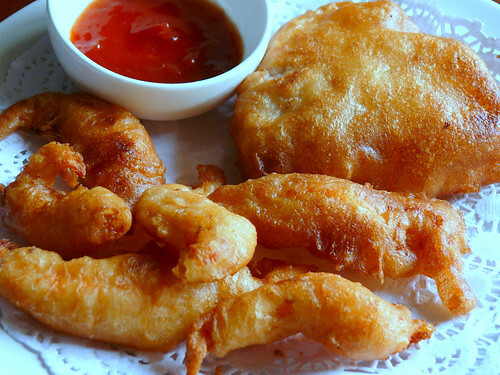 What if plain flour + beer made a batter that gave a crispy, stronger coating? Oh dear. But you know me, there'll be a next time. And I forgot to tell you, the beer flavor was super. About 1 kg white fish fillets, prawns, squid rings, oysters etc. 1. Sieve the flours together in a bowl, add the salt, yolk and the beer and stir with a fork until smooth, but do not stir too much. Add a little more beer if the batter is too thick, more flours if too thin. Leave batter for 10 minutes, covered with cling film. 2. Put 1/2 cup plain flour in a small dish, add 1/2 t salt and some white pepper, mix well, then coat the seafood with the mixture. 3. Heat up enough oil to deep-fry. 4. Whisk the egg white if using (like I said, I prefer not) and fold it into the batter. 5. Dip the seafood into the batter, let some of the batter drip off, then carefully slip the seafood into the hot oil. Do not fry too many pieces at one time. The temperature of the oil is very important. If it's too hot, the batter will brown too quickly, the seafood will not be cooked inside and the coating will not stay crispy for long. However, if the oil is too cold, the batter will be heavy with oil. You just have to know the right temperature and time by lots of frying experience. 6. Lift the seafood out onto kitchen paper to drain and serve immediately. Did you know that since bamboo is not very nutritious, a panda needs to spend up to 16 hours a day to hunt and eat 15-20 kgs of a special type of bamboo leaves to fill its tummy? All that chewing makes panda tired and so the other activity it does besides chewing is resting and sleeping. One of my kids loves bamboo. And sleeping. I think she may be a panda. I grew up eating only canned bamboo because my parents, typical China-born Chinese, didn't believe in local bamboo. My China-born in-laws too never touch local bamboo, deeming it inferior to the spring bamboo and the dried bamboo they carry back from their holidays in China. 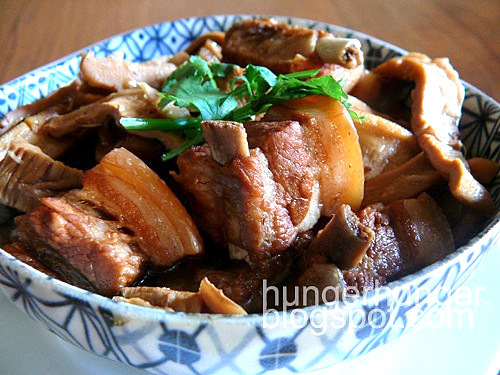 That is going to change after today, because I cooked pork with local bamboo and it was delicious. I couldn't stop eating it especially since bamboo is mainly fiber and very low in calories. Two weeks ago my friend Y gave me a bag of local sweet bamboo which she raved about. Not knowing that the bamboo had to be prepared by boiling, I fried it with pork slices straightaway. While the bamboo was sweet and crunchy, it also had a slight bitter aftertaste. It confirmed Hub's belief that local bamboo is inferior to China bamboo. This morning I was at the Dah Yeh morning market and stood next to a lady who was buying a bag of local bamboo in the shop near the pork stall. She told me that she often eats this bamboo, called sweet bamboo, and that it is tons better than the bamboo harvested by the natives. I bought two bags for RM5. Back home, I ate a small piece of the bamboo and was very pleased with the sweet taste. But after a second, the slight bitter taste on my tongue was unmistakable. Feeling disappointed but still trusting in Y and the lady at Dah Yeh, I boiled the bamboo for 10 minutes, then changed the water and boiled it again for another 20 minutes. The bamboo not only lost its bitter taste but also its sweet taste, which was okay since bamboo is generally tasteless. 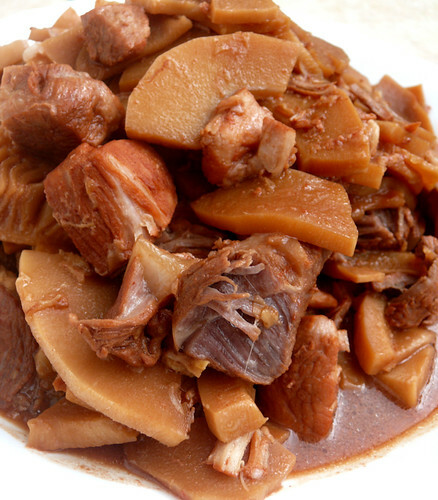 Braised dried bamboo with pork, Shanghainese style, is cooked a la typical 'red-cooked' style, with soy sauces, rock sugar and wine. When I was in Guangzhou and Guilin 3 years ago, I visited several relatives and each time we walked in, Hub and I would exchange looks because we smelt the stink of Cantonese bamboo. When I 'tactfully' pointed the smell out, nobody knew what I was talking about. Shanghainese dried bamboo never gives off that stink and Hub remains convinced that southern Chinese bamboo is not for his consumption. Prep: Trim & cut the pork into small cubes of 3 cm and blanch briefly with boiling water. Drain. Put sliced bamboo into a pot of water and boil 10 minutes. Drain away the water and add fresh water and boil another 20 minutes. Switch off heat. Let bamboo steep in the water for about 10 minutes more and then drain away all the water. 1. Put the oil into a heated pot and add the onion, garlic and pork. Let the surfaces of the pork sear at high heat, turning once in a while. 2. 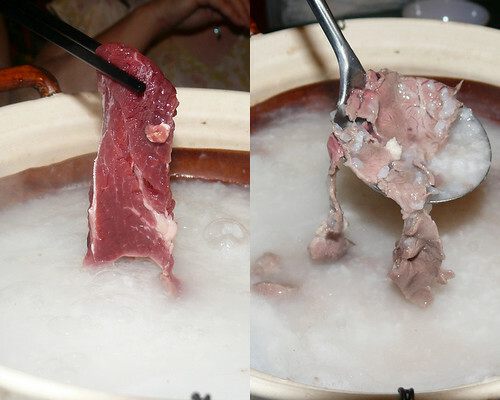 When the pork has turned white, add the nam yue, mashing it with a wooden spoon and mixing it well with the pork. 3. Add all the other ingredients, cover the pot and let the pork simmer. Once in a while, check on the level of the water and add a little bit more if necessary. Stir once in a while to prevent burning. I used a pressure cooker for 20 minutes and that gave meat so soft it fell apart so 15 minutes is probably just right. 4. 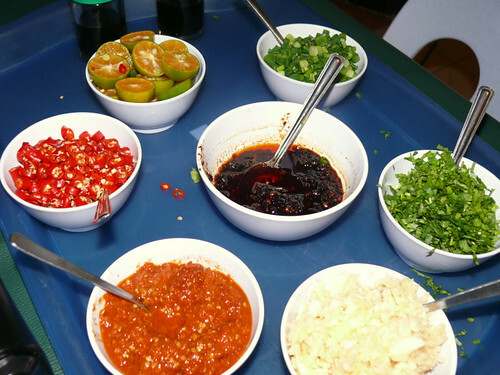 If there's a lot of sauce, remove the lid and increase the heat to dry the sauce up some. Taste and season if necessary. Serve hot with with plain rice. Yes, move over, Wanda, because here's Unforgettable ("wang bu liao" in Chinese). It may be ugly outside but inside it's ambrosia, I'm told. A friend showed me these photos she took of a very special steamed fish she ate in Kuala Lumpur (I realise that I shouldn't use abbreviations like most Asians do. I just got mail from a reader in France asking what 'KK' means. KK stands for Kota Kinabalu, the capital of Sabah, my hometown.). The scales of Unforgettable, which are as big as a serving spoon, are edible too. The best part of the fish, as most fish gourmets would know, is the upper body with the area around the stomach being most highly prized. 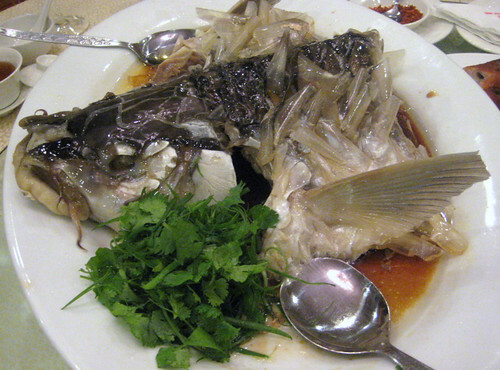 Fish heads too are considered a great delicacy, for the flavorful gelatinous cartilage. 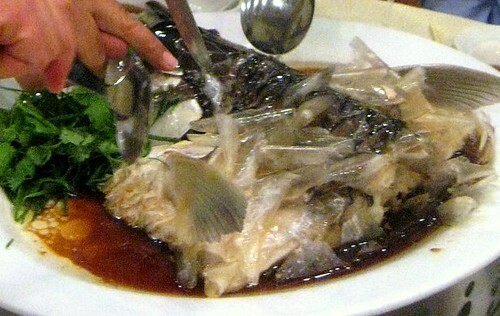 This fish is called "wang bu liao" in Chinese which means unforgettable. I have never heard of this fish before and I want to know if any of you know about this riparian specie which was caught in a river in Sibu, Sarawak. It is very rare, jumps up to grab fruits that overhang the rivers, and according to my friend, it is the best-tasting fish she has ever, ever eaten in her life. It beats black cod and all those special fish my friend has ever eaten. It was silky, tender and splendid beyond words, according my friend. It better be, because this dish cost RM6000/US$1600! No, I didn't get the zeros wrong. I worked out that if they got 20 spoonsful of meat from the dish, which was over 2 kg, each spoonful works out to RM300/US$80. (Choke! Gasp!) Unless there is a more expensive fish in the world, I declare this the most expensive fish I have ever heard of. Now this is one fish I want to eat before I die. Update: Exactly a week later, I returned to Station 13 for dinner and it was an utter disappointment. First of all, I made the mistake of ordering the set steamboat for RM28 per person. For that, you get cheap items like pork skin and pork liver. But my biggest complain was the beef. It was trace paper-thin, so thin that I couldn't lift it off the plate so I had to scrape it into the pot where it disintegrated into the congee. I did complain about it to the management and if they don't improve on that, I won't be going there again. Hmmph! There's a new kid in town called Station 13 and it is located in City Mall. City Mall is the most popular mall in KK right now, judging by the constant line of cars queuing to get into the mall area. The strangest thing is once you get into the shopping stores upstairs, there's hardly anyone strolling about. I think people go there to eat, and as far as I'm concerned, there's nothing worth eating there. But that has changed since Station 13 officially opened last week. Station 13 offers the first of its kind, congee steamboat, found mainly in Hong Kong and Guangzhou. It is like regular steamboat/hot pot except the soup base is very thin congee. At Station 13, you can stick to your regular clear soup base or try the congee base. I've never had congee steamboat before, and now that I've tried it, I like it! 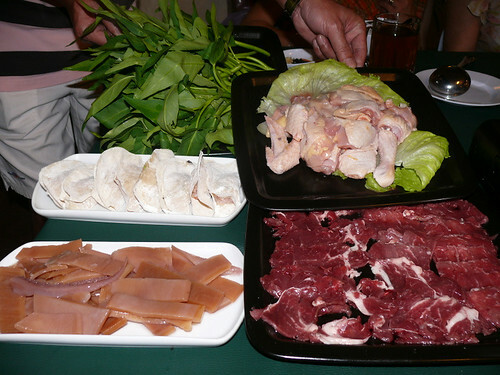 Then again, I like steamboat of any kind. Not surprising, since I like cooking at the table. When you order the congee steamboat at Station 13 for RM28/US$7.50, it comes with half a kampung chicken (which is really farmed kampung chicken, not the free-range type). You can order other ingredients, which range from RM5/US$1.40 for veg/mushrooms/tofu and so on, or meat such as beef, pork, fish for about RM15/US$4 to RM18/US$5. The portion is not big, but the congee is refillable so don't order too much in one go. You start by choosing and mixing your own dips. I like the dried chili oil in the middle. The chicken comes with the congee. 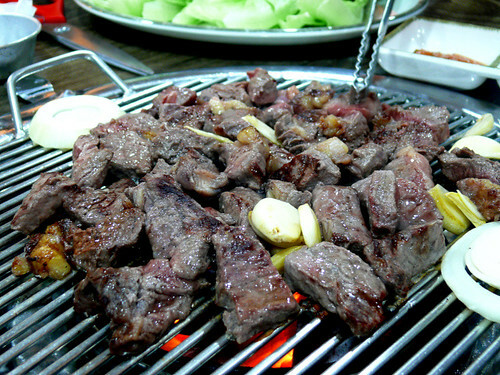 The local beef was very tender and sweet. I highly recommend the sui jiao/dumplings too. It had lots of crunchy prawns. We didn't want the flour to mess up our congee so the sui jiao was sent into the kitchen to be boiled before we added them to our congee. Soaked dried squid is tasteless so unless you just want the crunch, order something else. The staff in Station 13 are mostly the owners, and so are very friendly. I found out the next day that one of the owners is my friend Annie. Anyway, I like that the owners themselves scurry around taking orders and tending to the customers. There's no dumb look and inability to answer questions as in most of our restaurants where the staff are migrant workers. They did have two migrant (I assume) workers, one of whom accidentally dumped all the bones from my friend's plate onto my plate while changing the plates for me, and the same girl splashed congee on P's arms while cleaning up. But we were nice, we let her off. Very fresh plate of complimentary prawns. Maybe because we looked like nice ladies, or maybe because V jokingly told one of the owners that I'm a 'big blogger', we got this big, beautifully arranged plate of prawns for free. But it came at the end, and only V and I could continue eating. We only finished half the plate of prawns which was about 4 big prawns each, proving again that V and I were, are and always will be, gluttons. P had stopped eating while R doesn't like prawns. Our meal was about RM80/US$22, including Chinese tea and a last order of enoki mushrooms, which was what we call "okay okay" meaning it is neither cheap nor expensive. The next day, I brought Hub back for lunch. 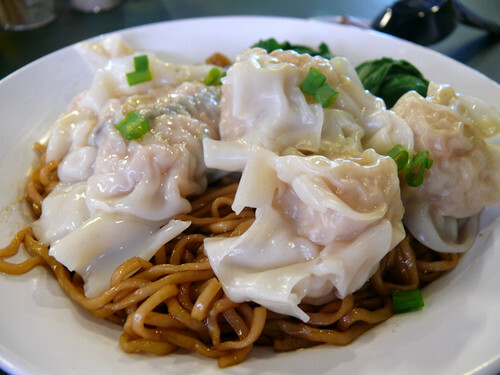 We both had the sui jiao and wonton with soy sauce-tossed noodles, which took 40 minutes to arrive. It was quite ordinary and didn't taste anything like Hong Kong's wonton noodles. I doggy-bagged cha sao rice for Wey and it didn't look appetizing because the cha sao was reddish (I don't eat artificially colored cha sao), cut very thin and looked dry. Maybe because they just started business, many ingredients were out of stock even though we were there at 7.30 pm. As with all new restaurants in KK, you must make a booking or risk standing outside looking in at the diners. Or end up eating at The Hut (woe to you then), which is two doors away. A little unrefined-looking, but these home-made beef balls tasted tons better than store-bought ones. Chinese meatballs are totally different in texture from, say, Italian meatballs. Italian meatballs are loose and soft textured and a little coarse to the tongue while Chinese meatballs are dense, smooth and springy. 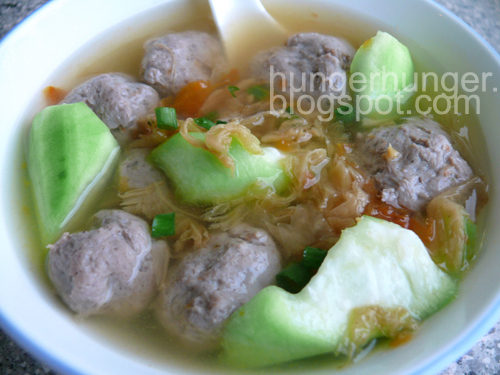 Springy is the key characteristic of Chinese meatballs. 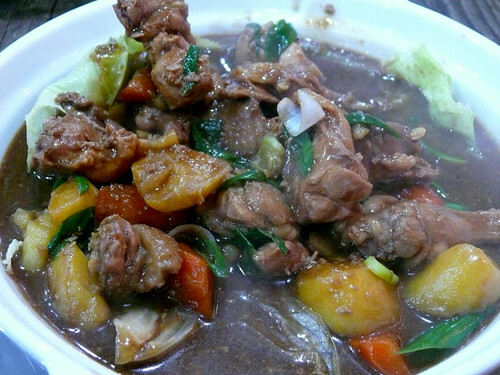 Whether it is a fish, pork, squid or beef ball, if it doesn't give a springy bite, it is considered a failure. My helper Vero makes super springy fish balls that sometimes are almost hard and definitely bouncy. I can never do fish balls so I don't bother. But I've always wanted to make beef balls, mainly because nobody seems to make them or know how to make them. Thank goodness for Google Search, from which I found two recipes that were the same except one used alkaline water and one didn't. I'm linking this recipe because it was published earlier than the other recipe, meaning the later one probably copied it without giving credit. And it worked while the copycat's didn't. 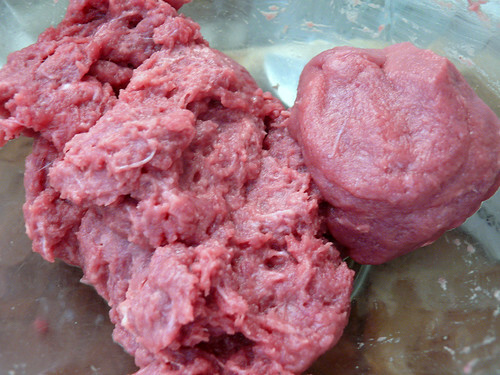 On the left, beef ground by machine and on the right, machine-ground beef paste that became smoother and finer by pounding with a granite pestle and mortar. Although the recipe doesn't say to put the ground beef through the pounding process, I saw it on some other sites and it made sense. 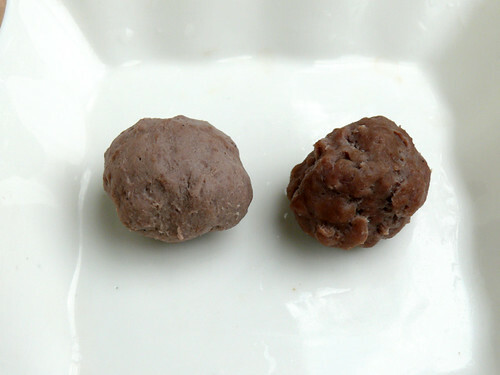 On the left, lighter-color, denser and smoother beef ball made using alkaline water and on the right, a darker, looser and coarser beef ball made without addition of alkaline water. So different. I started with fresh unfrozen sirloin, putting it through a machine and then pounding it into a paste with a pestle in a mortar. I then added the necessary ingredients and swirled the beef paste round and round in a bowl with a pair of chopsticks like clothes in a washing machine to increase the stickiness and springiness of the meat paste. To be doubly sure, I slapped the paste hard against my wooden chopping board too, just as is done in making fish balls. So much hard work--do commercial meat balls makers have to do this? In one sample, I omited additives such as baking powder and alkaline water (more correctly called lye water, the ingredient in toilet cleaners and drain openers because it is so high in alkalinity and therefore is very corrosive, just like Coca Cola is corrosive too). I boiled one beef ball and it was coarse and loosely packed, just like Italian meatballs. I was disappointed so I left the minced beef in the fridge for two days while I decided whether to add alkaline to it. I've read that alkaline water is used in making of century eggs, noodles, gan sui zhongzi and many cured food such as olives. I didn't want to resort to using alkaline water, but I had to find out The Truth About Meat Balls And Their Bounciness. So I bought a small bottle of alkaline water (lye water) for RM1.00 from the cake ingredients shop, scooped out 3 tablespoon of the beef paste and added 1/16 teaspoon of alkaline water. Magic! The beef ball was super springy and bouncy to the bite. Not only that, after cooking, it looked just like the commercial ones, light grey in color and smoother than the beef ball made without alkaline water. I felt very good. I felt like I've cracked a secret recipe. But I was left with 2 3/4 tablespoon of beef paste with alkaline water and about 250 g pure beef paste that doesn't make springy meat balls. I decided to risk it, since I generally eat quite healthily (I think) and can afford some poison once in a while. I mixed the two pastes together without adding more alkaline water and dropped one ball into the boiling water. After a minute, it rose to the surface, all puffed up. I bit into the beef ball. OMGoodness, it was the best beef ball I have ever tasted--springy, not too dense, full of beefy flavor and sweetness. It reminded me of the steamed beef balls with dried mandarin peel served at dim sums, only the beef flavor was stronger. Awesome! My niece who dropped by for dinner said that the beef balls were superb and utterly different from the coffee shops. Wey, who doesn't eat meat balls of any sort, ate one and liked it. And then--not to my surprise--he said that he tasted a slight bitter after-taste. I had tasted it too but I didn't say anything because I thought it was in my head. It was the same slightly saltish-soapy-bitter taste I find in yellow oily noodles but which nobody else seems to detect. Now that I can make beef balls, I can make them BIG instead of those pee-wees in the shops. Beef balls have shrunk so much that they just don't feel in the mouth like before. They also lack beef flavor. I suppose I can make pork balls too, and pork dried squid balls. And all that advice the butchers give you about how you must start with meat that is so fresh that it is still warm? And how you have to slap the meat around? I've proven that it's rubbish. All you need is alkaline water and the meat will spring and bounce. The following recipe is based on the recipe linked above, but slight changes to the ingredients and method were made based on my experimentation. It makes delicious beef balls without the starchy taste of those giant frozen beef balls in many Asian grocers overseas. I suspect the tiny holes were caused by the extra water I added while fiddling with the sticky meat paste. In the recipe below, I've given the right amount of water. * try using less than this by dropping about 5 drops with a skewer, then cook one ball to test the bounciness and add more if needed. note: in the original recipe, fish sauce is used to give extra flavor but that may be more suitable for Vietnamese beef balls. You can substitute with a pinch of chicken stock powder instead. Commercially, msg is used and if you use that, just a small dash will do. 1. Cut the beef into small pieces, process it until a fine paste. Pick out any stringy bits. The meat will still be slightly too coarse so pound it into a homogeneous paste using a mortar and pestle or a rolling pin as I've seen in some sites. I'm not sure how the beef balls will turn out if you don't pound it. It may turn out just as good as long as you use alkaline water. You test and tell me. 2. Sprinkle all the other ingredients except the salt water over the meat paste. Add the salt water to the meat paste by the tablespoon, stirring after each addition until the water is absorbed before adding the next tablespoon. 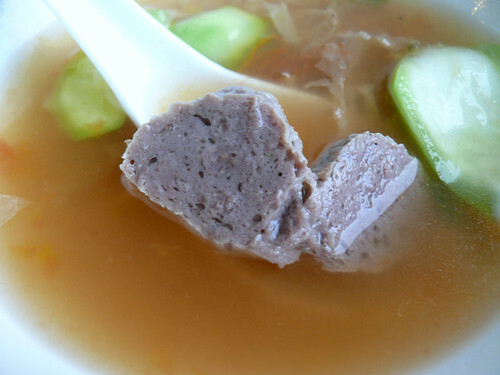 Stir the meat forcefully in one circular direction, just like making fish balls paste, for about 1 minute. 3. Chill the meat paste in the fridge for an hour to firm up. 4. Scoop or squeeze the meat paste into balls about the size of a large cherry or even larger and drop into boiling stock. When the balls rise to the surface of the boiling soup, let them boil a minute before serving. They will puff up when the water is boiling but they will deflate when the soup cools. Dulce de leche is something I've wanted to make for a long time and when Wey recently complained that all he could find in the supermarket was evaporated milk and not condensed milk, it turned out that he wanted to make dulce de leche too, which he saw Chef At Home made. He said it was the way Chef looked when he ate the sauce that made him curious about the stuff. Did I ever tell you Wey's quite good at imitating accents and expressions. He did a great imitation of Micheal Smith rhapsodizing about the sauce in a Canadian accent and giving that characteristic sneaky sidelong glance that always makes me amused and irritated at the same time. For that performance, I made the sauce for him. For some reason, condensed milk in Malaysia is now known as 'sweetened creamer'. No wonder Wey couldn't find condensed milk in the supermarkets. 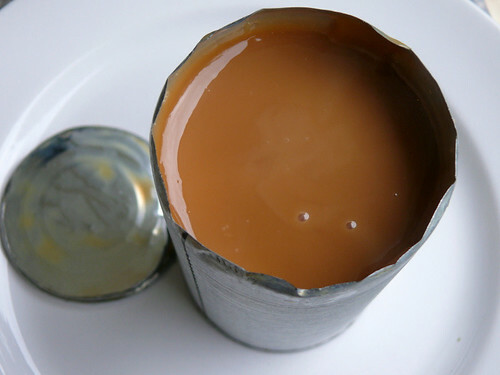 Dulce de leche (meaning "sweet milk") is a sweet sauce made by boiling an unopened can of condensed milk for at least 3 hours. The sauce is to Spain, Portugal and South American countries like gula melaka is to Malaysians. Wikipedia tells me that the condensed milk is turned into a caramel-like sauce through a chemical reaction called Malliard Reaction, and not through caramelisation. Malliard Reaction, according to what I've read, is the chemical reaction by which many natural and articifial flavor compounds are made. Since I'm not a food chemist, and I suspect neither are most of you, it's enough to just know that the basic difference between caramelisation and the Malliard Reaction is that the former is a browning process that involves sugars only while the Malliard Reaction involves sugar and amino acids (eg milk). I boiled the can of condensed milk, lying down in the pot, for 3 1/2 hours, according to the recipe in The Australian Gourmet Traveller, October 2007 issue. I then let it cool for an hour before opening it (the can can explode if opened when hot). I was afraid the milk would stay creamy white but there it was, a nice, smooth, caramel-brown sauce. However, the sauce was way thinner than that in the magazine. I boiled it long enough but maybe not hard enough, as in the heat was too low? In some photos of the sauce that I've seen, the sauce is a rich brown and very thick, like a paste. Could it be that my dulce de leche hadn't had a successful Malliard Reaction? The recipe said to let the water simmer, so I didn't let it boil and that could be why my sauce wasn't as thick or brown. I've seen dulce de leche in some websites that looked liked they were overcooked, resulting in a thick, grainy paste that must be quite coarse on the tongue. 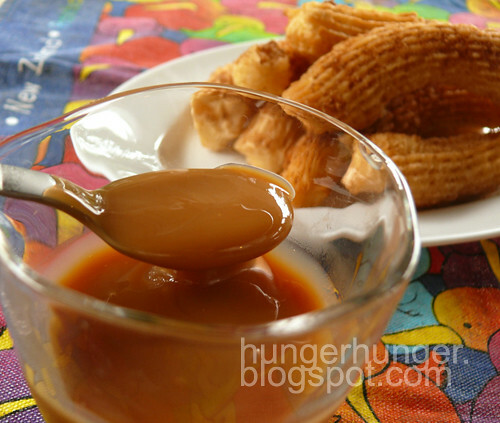 I imagine the perfect dulce de leche should be thick (but not pasty), smooth and rich in flavor. We both dipped a finger in. Wey said "Condensed milk, except the sweetness stays longer". I too tasted the condensed milk first, then the faint caramel flavor and then the sweetness. Frankly, I was a little bit disappointed. We popped the can into the fridge overnight and the next morning, the sauce had thickened in viscosity. Dipped a finger in. This time it tasted of condensed milk, slight caramel and concentrated sweetness--just like the first time. Okay maybe there was a hint of butterscotch too. It was good, but I expected to be knocked off my feet. --Put the unopened can of condensed milk into a small pot and fill with water until the water completely covers the can. You can turn the can so it lies down and less water is needed. --Let the water boil, then lower to medium heat and let it boil moderately for 3 1/2 hours. --Pour away the water and let the can cool before opening. p.s. I did more research on dulce de leche and my conclusion is that the correct consistency depends on what you want the sauce for. As a spread, it can be thicker but as a pouring sauce it can be thinner. The longer it is boiled, the thicker the sauce gets. The color may depend on the type of condensed milk used. 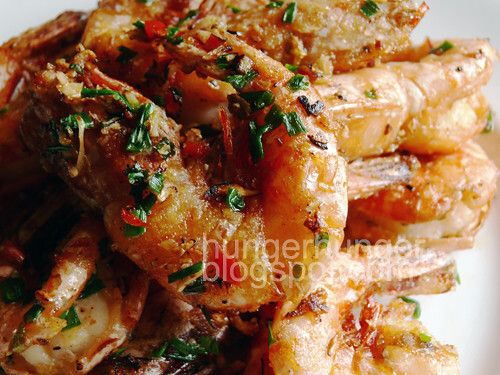 In Chinese restaurants, this dish is called salt baked prawns but strange enough, the prawns are not baked but fried. Restaurants deep fry everything these days since customers love fried food and frying is quick, convenient and energy-saving. I didn't say anything about health so we don't need to go there. This is an easy (even guys can cook this; yes, sarcasm intended), quick and very tasty way to cook prawns which are not exactly fresh off the boat. Deep-frying, like the color black, hides a multitude of sins. The only thing I don't like about this dish is that it is oily but you can cut back on the oil a bit by not adding oil during the second frying. This is a dish to cook for a group of rowdy friends and not princesses who fuss over their manicured nails or can't peel the shells themselves. Again, excuse me now as I settle down to watch The Little Nyonya. This episode is going to be so good. I think this is where he marries the woman his grandma chose while the woman he loves is forced to marry a butcher. The Little Nyonya is almost like Cinderella except the bad aunts and cousins are a trillion times worse and the ending is no happily-ever-after fairy tale. Makes all of us more content with our lot. 1. Trim the sharp tips of the prawns. Cut the shell along the back, remove the dirt vein but do not peel the shell off. Use kitchen paper to dab-dry the prawns but don't dry it too much. 2. Put the corn flour into a bowl and dredge the prawns lightly to coat the shells. 3. Heat the oil up in a wok. When oil starts to smoke, pick up the prawns by their tails, shake off any extra flour and carefully slip them into the oil. Maintain the high heat so that the shell gets crispy but the flesh remains succulent. Fry them in small batches to keep the heat at high. 4. 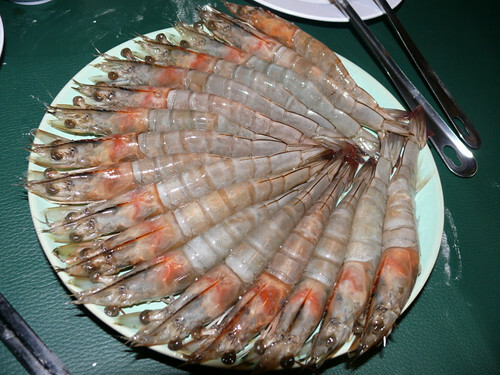 After about 1 minute, lift the cooked prawns from the oil using a slotted spoon and let the oil drain from the prawns on a plate lined with kitchen paper. 5. Pour all the oil from the wok except for 1 T, return the wok to the stove at medium heat and add the garlic, chicken powder, chili pepper, salt and pepper and stir well to mix. After a couple of seconds, add the prawns and spring onions. Toss well and serve immediately. The latest Korean restaurant in town is Supul in City Mall. Maybe because I expected too much and compared it to the best Korean BBQ restaurant I ever ate in (in Shanghai, of all places), I was disappointed with Supul. The food was really not too bad, and in fact Hub enjoyed his Korean meal for once, but the ambience spoiled our dining pleasure. Supul is as bright as an operating threatre. The air was smokey and the tables were so packed some were joined side by side so there was very little privacy. Our food took more than 30 minutes to arrive, and by that time we had filled our tummies with the free flow of side dishes. 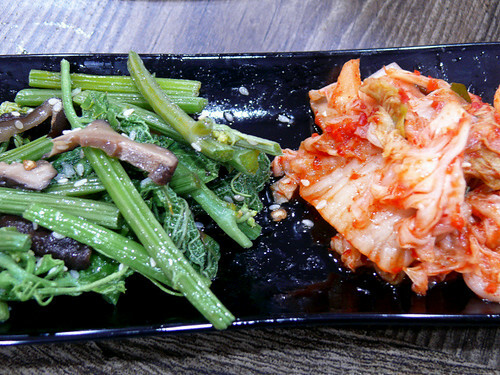 Unlike most Korean restaurants where many side dishes are served, Supul only serves 3 kinds of sides and on that night they had ran out of one, leaving us chewing on kimchi and Jap cucumber sprouts. The kimchi was mediocre but the Jap cucumber sprouts with shiitake were yum. A friend of Hub's happened to be at the table joined to ours and she kindly sent this dish over. I heard Wey mutter "Freeloader" but he ate most of it anyway. A tasty chicken stew that went well with rice. Wey's bi bim bap was cheap at RM8/US$2 but the portion was smaller than most other places. He preferred the egg raw but it came cooked. Hub's order of beef galbi tang, RM15/US$4, came with a bowl of plain rice. 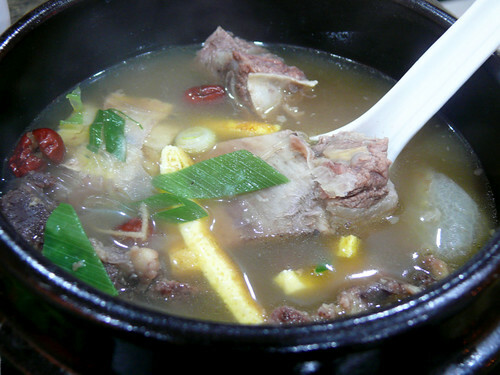 This is beef ribs in a clear broth, very flavorful and tasty but the meat could be softer. 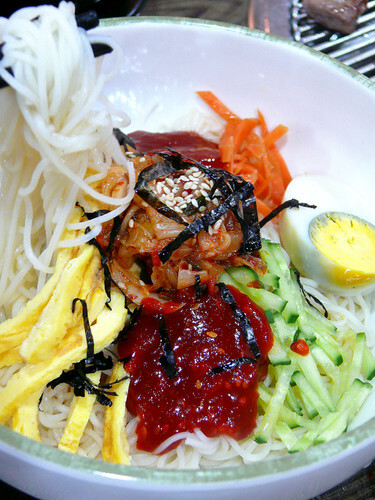 I had the bi bim guk soo, which is bi bim bap with the bap (rice) replaced by noodles. 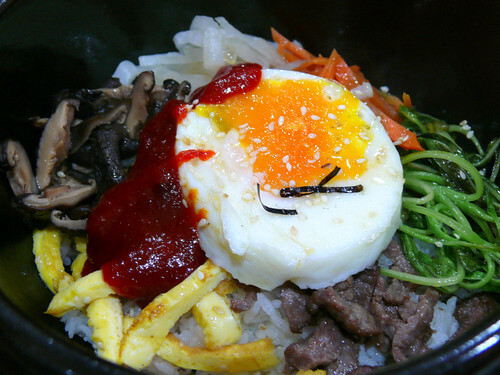 I prefer bi bim bap. RM8/US2. Je bi cu li, ribeye steak grilled at our table, is Supul's signature dish but it was a big disappointment. The portion looks big in the photo but the beef cubes were thin and very small. The beef flavor was lacking too and I absolutely don't recommend this. RM70/US$14 excluding the sang choy (lettuce) , RM3/US$0.80. With a 5% service charge and tea, the bill was a reasonable RM111, which was probably why the place was crowded more than a month after opening, which is unsual for KK. I don't know. Maybe I'm fussy but I prefer a more pleasant ambience with less smoke, less crowd, less lights and Korean music instead of Channel KBS on the wall. Black cod is the best tasting fish, IMHO. 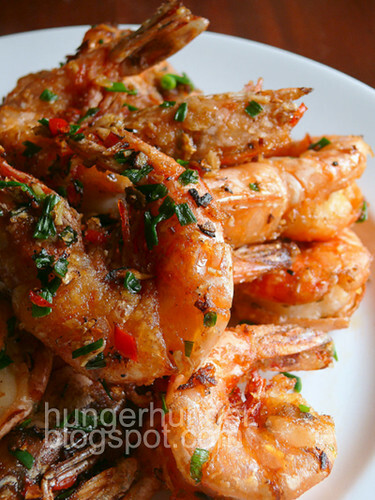 It is extremely tender, smooth, delicate, moist and delicately but wonderfully flavored. There is so much oil in it that it doesn't matter if you overcook it--it never gets tough, unlike grouper or salmon or most fish. 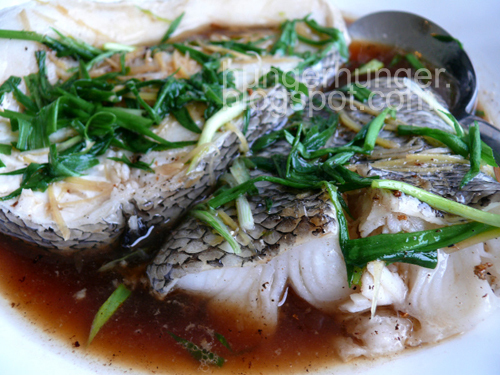 The best way to cook black cod (unrelated to the common cod which is used for fish and chips) is to steam it Cantonese restaurant-style, with lots of ginger and spring onions. 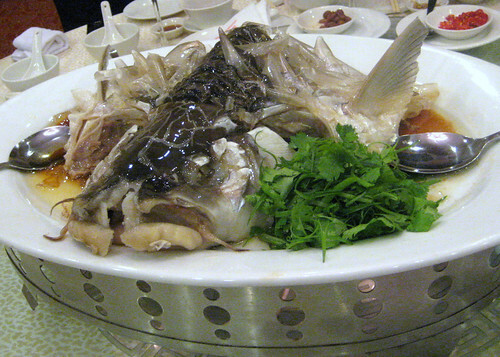 This way, the fish retains its moisture and its true flavor is released. The Japanese way of teri yakiing it with soy sauce or miso comes second because frying such a delicate fish masks its flavor and replaces it with the flavor of heat, oil and the seasoning used. The only fish Wey eats is black cod, and he's been begging me to deep-fry it instead of steaming but at the price of RM80/ US$22 per kg, I feel that it's a pity to cook it any other way. Today he gave me the most pitiful hangdog look ever and of course I fell for it and fried one slice for him and steamed the other two slices. Who wouldn't, Wey is extremely good at that look, outer eyebrows pulled down, shoulders hanging forward and almost whining. I still couldn't bring myself to deep-fry it, so I pan-fried it, which was stupid because deep-frying will cook the fish to an even tan and crisp it even more. Next time I will do that, irregardless of the oil. What was our verdict? I still think black cod is best steamed but Wey said each method gives its special taste. 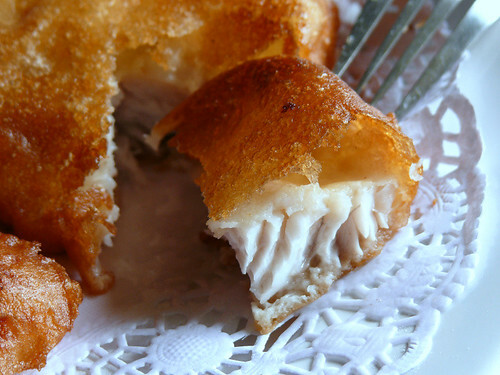 And so here's a simple way to fry black cod if you are tired of steamed black cod. 1.Heat up 3 T of oil in a wok and fry the garlic over low heat until lightly golden. Remove garlic (leave oil in the wok) to a small bowl. 2. Smear 1 t corn flour or potato flour on the skin and flesh of the cod. 3. 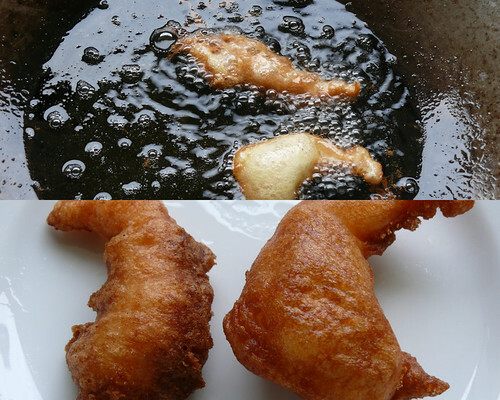 Add 1 cup of oil to the same wok and deep-fry the cod until golden and cooked. 4. Put the fish on a serving plate. Pour away all the oil leaving about 1-2 tablespoon, add all the sauce ingredients and heat until it begins to boil. 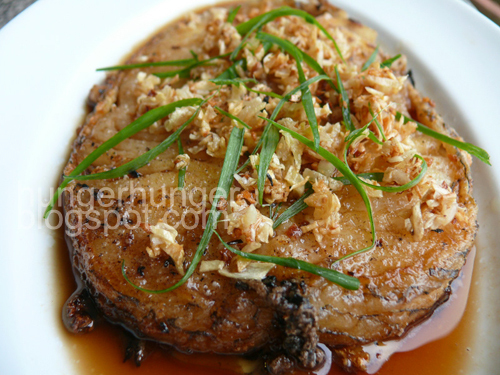 Pour the sauce over the fish, top it with the fried garlic and serve immediately. Alternatively, you can heat up the sauce in a small pot and pour the sauce over the fish and spoon 1 or 2 tablespoon of hot oil over the fish and then scatter the garlic on top. This was on our dining table two nights running. It has been stuffy and unbearably hot, too hot to cook. Wey has taken to walking around with just his shorts on. Amazing sight. Just reminds me I have to speak to Tito about increasing Wey's tennis lessons. That means another fight. This dish is so refreshing for this kind of weather, I may just make it again tomorrow, with less century eggs because they aren't very healthy I hear. The good thing about this dish is that you don't have to stand over a hot stove. Just pop 2 pieces of silken tofu out of the boxes (does anyone know how to get the whole piece out without leaving some behind in the box? 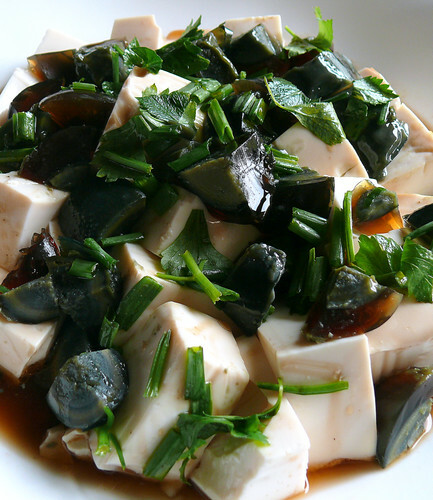 ), cut them into 2 cm cubes, arrange them on a plate, crack and wash 3 century eggs well (final rinse with warm water), cut them into 1.5 cm cubes, scatter over tofu, splash lots of light soy sauce (I like to use Maggi sauce for this dish because it is 'seasoned'--with msg?-- and perfect for this dish), lots of sesame oil and 1 tablespoon of black vinegar over. MUST chill well before eating. Sprinkle some coriander leaves/cilantro (didn't have them so I used Chinese celery instead; cilantro is better) or spring onions over. Eaten as an appetizer. And that's my shortest recipe ever. Don't despise short recipes though. This is quite a dish. How many of you had home science classes? I know they have replaced it with Kemahiran Hidup (Living Skill) classes which the Education Department somehow deem are more useful to students. In KH, Form 3 (Year 9) students make wooden boxes as their exam project. I'm not sure what these boxes are for. They look like tissue boxes. My son went through 3 years of KH from which his greatest achievement was a wooden box which got stolen which the teacher casually brushed off because everybody will get the same marks as long as they made The Box. I'm sure some good will come out of KH. I'm not seeing it but I just have to trust the educators that making boxes is better than learning to cook. Never mind that the rest of the world is getting back into the kitchen, as evidenced by the countless food programs on TV, not to mention food blogs. Students must make tissue boxes because that will help them survive in the jungle or the desert or when they go to college. If you went through Home Science like I did, you wouldn't have to make The Box. 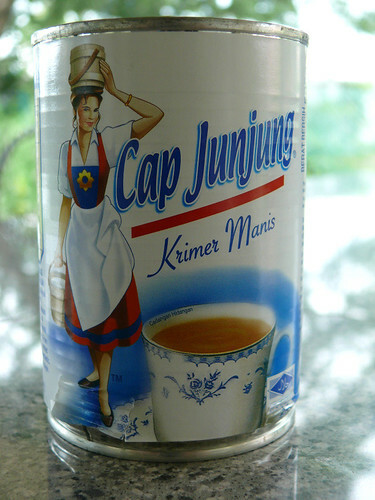 You'd have made rock buns, sardine sandwiches, curry puffs and ondeh ondeh, classic Malaysian tea time treats in the 70s. I suppose you'll have more success impressing your future MIL with a wooden tissue box than with a spread of teatime goodies. Ah, as the world turns. Ondeh ondeh is one of those super easy to make glutinous rice balls snacks available in most Asian countries. In China, glutinous rice balls called tang yuen have sesame or red bean paste filling and are served as a sweet soup while chi fa bun are served like Japanese mochis, finger snacks with red bean paste or peanut filling, coated with glu rice flour to prevent sticking to each other, and dangos, which are plain unfilled glu rice balls, roasted over a fire and doused with a sweet soy sauce. Ondeh ondeh are by far the prettiest of them all because rolled in shredded fresh coconut, they look soft and fluffy. 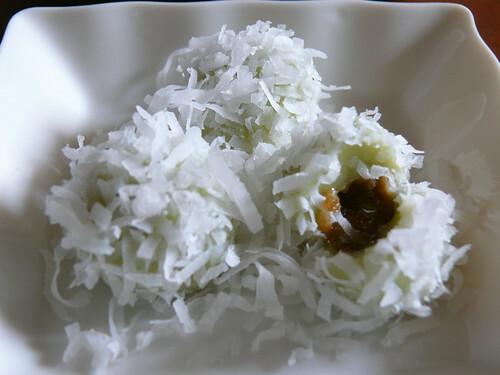 Tastewise too, ondeh ondeh are more delicious because there's the flavor of the pandan leaves, gula melaka (a wonderfully-scented brown sugar from palm trees) and fresh coconut. Even if you've eaten ondeh ondeh before, it never fails to give a pleasant surprise at first bite when the liquid gula melaka squirts in your mouth. 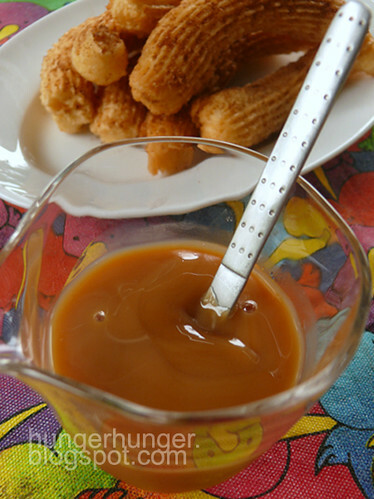 Ordinary brown sugar is nearly flavorless but gula melaka has an amazing flavor. If it was a French sugar, it'd be ranked as a gourmet item but no worries, we'll keep our gula to ourselves. This ondeh ondeh recipe is from Zurin and I am posting it specially for my two older kids. Yi said ondeh ondeh are selling at A$3 for 5. I have this great idea. My kids can sell ondeh ondeh at Vic Mart's weekend fair for pocket money. 500 would bring in A$300 per day, 4 times per month makes A$1200. That is nearly RM4000 per month for working once a week. Wait. I think I'll go over and make some pocket money myself. * you may have to use Hawaiian coconut if fresh coconut is not available. Hawaiian coconut makes prettier ondeh ondeh but doesn't taste as good as the fresh coconut. Prep: pound or whizz the pandan leaves into a fine mess. Mix the leaves with the water and massage the mixture well to release the juice. Squeeze into a large glass and strain into a measuring jug to remove any leaf bits. If you don't get 150 ml, top it with water. I've used more pandan leaves to get a stronger color and fragrance but you adjust it because pandan plants vary in their flavor and color. 1. Mix the pandan water with the glu rice flour until it comes together. You may need to add 2-3 tablespoon of water. Don't make the dough too wet or the balls won't hold up and will stick to your plate. If dough is too wet, you can flour your palms. 2. Break off bits of the dough, or roll it into a log and break off from there. Make the ondeh ondeh small so that you can pop it into your mouth without biting into two and risk squirting gula melaka at your new date. Maybe that's not a bad idea. Roll each dough bit into a smooth ball. 3. Get a pot of water boiling. 4. Using your thumb, make a dent in the middle of the ball and spoon about 1/3 teaspoon of gula melaka into the dent. Push the dough together to seal the dent. Roll until smooth. Do not make the dent too big because you don't want to fill it up with lots of sugar (traditionally, a lot of sugar is used but that's not nutritionally correct now). If the dent is big and not fully filled up with sugar, the ondeh ondeh will collapse after it cools. 5. Drop the balls into the boiling water. Use a slotted spoon to move the ondeh ondeh so that they don't stick to each other. When the balls are cooked, they will rise to the surface. Give them another minute or more (they won't disintegrate) so that the gula melaka melts. You should test one to see if the gula has melted. I like to switch the heat off and scoop a few balls out to roll in coconut each time, leaving the rest floating in the water. 6. 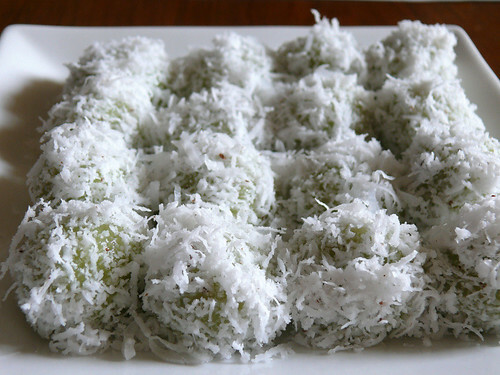 Roll the balls in the grated coconut to coat. Let cool.